Depending on how you look at it, Gran Turismo has either fallen behind the times, or taken up active defiance against them. It may rankle some that GT6 still asks you to accelerate and brake with buttons rather than triggers, and that it hasn’t followed GRID, DiRT and countless others in granting players flashback reprieves as an instant means of erasing mistakes. 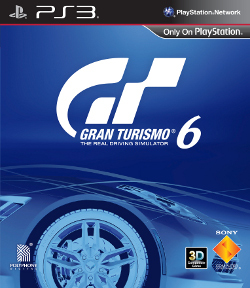 Nevertheless, it’s hard not to feel admiration for Polyphony Digital’s sixth ‘real driving simulator’. 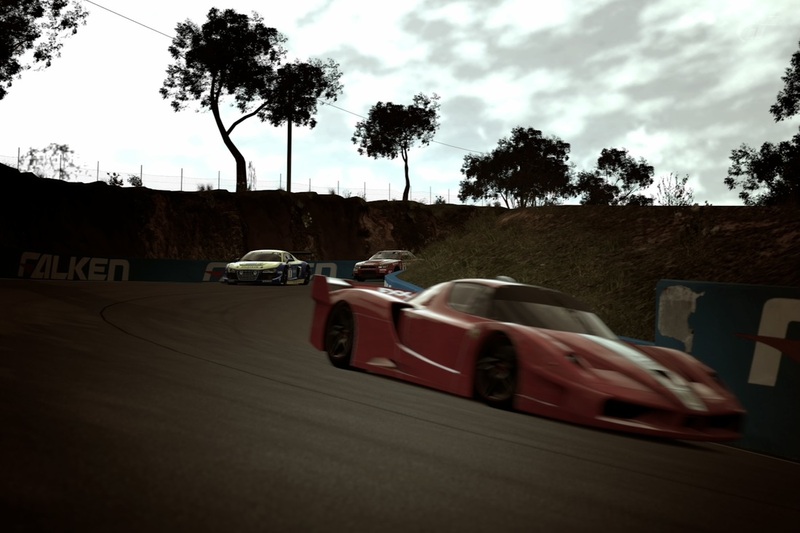 A blueprint established and then staunchly followed since the nineties, gimmicks and genre evolutions have been ignored in equal measure as the developer has ploughed on with its own, unwavering vision of what a racing sim should embody. Thus whilst it may not always feel cutting-edge, it’s never short on quality, as GT6 delivers an all-round improvement on the disappointing fifth outing. Indeed, if you haven’t sampled a Gran Turismo since the PlayStation original, the whole setup will seem quaintly familiar, albeit on a considerably larger scale. In a tacit recognition of the times, it’s a little more streamlined in some areas too. There are fewer licence tests, and this is definitely a good thing, as it makes for a more focused set of challenges and less repetition. In keeping with modern attention spans, the once-grand endurance races have been dumbed down to form such comically lightweight sounding events as the ‘24 minutes of Le Mans’. It’s a shame in a way, though the upshot is you get to appreciate the excellent dynamic weather and day-to-night transitions without things dragging out too much. Balancing your assets is admittedly a tough ask when there’s so much to play around with, but there are times when Polyphony should have capitalised more decisively on the really good bits. Tyre wear and fuel depletion are fantastically realised; the former rewarding players for smooth braking and cornering, the latter pays attention to the length of time spent at high revs, allowing for a bit of strategic fuel saving when necessary. Unfortunately, neither of these play any part in proceedings until the Special Licence is earned, just after you’ve conquered the GT World Championship. Despite a wealth of wonderful rally cars, there’s only three off-road races in the entire game, and none whatsoever on snow, despite the Chamonix track making an appearance in the largely ignorable Arcade mode. Look! A Ferrari in the virtual-flesh! You can’t talk about Gran Turismo without mentioning the cars. There are more than 1,400. So many, in fact, that the game sportingly supplies its own search engine, complete with adjustable parameters, so the player can track down their desired motor. Many of the tournaments, such as the 4WD Cup, the All-Japan Touring Car Championship and the Clubman Cup may seem well-worn, but there’s much joy to be had from unexpected quarters. A new electric car event sees you squeezing every drop of performance from the humble Nissan Leaf, as your pilgrimage to the top of the Matterhorn climb is one of real attrition as you slipstream past all those Prius’s, whilst the game mercilessly trolls as you prepare to unleash the Toyota 7 prototype at the Spa all-nighter, only to find it doesn’t have headlights and you end up driving around in the pitch black for half the race. 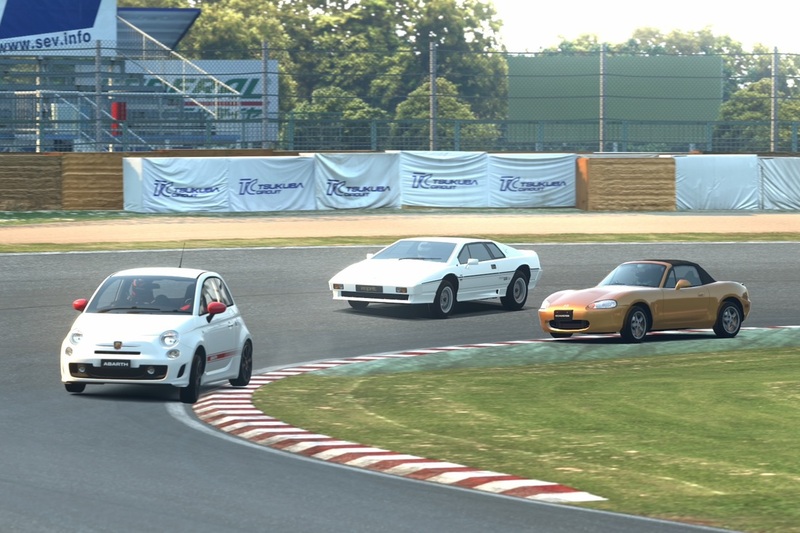 Whilst many of Gran Turismo’s values have remained obdurately the same (the long-requested crash damage has perhaps wisely been abandoned again after its tepid showing in GT5), there are signs of improvement in the racing experience. There are considerably larger fields of competitors after the first couple of classes are passed, and whilst in previous instalments you could bully your way into the lead quickly and remain out front on your own, GT6 has made a concerted attempt to encourage through-the-pack racing that remains an engaging challenge right up to the flag, with qualifying having been scrapped and car performance parameters having been brought much closer together. The result is more wheel-to-wheel racing than fans of the series have become accustomed to, which is a big positive. The handling is weightier and less forgiving than many of its contemporaries, though the way the cars understeer carries with a wonderful challenge and feel, as precise braking and timing and amply rewarded, encouraging players to test the limits of track and car. On this occasion, GT6’s side ventures provide some of the most innovative, and most playable, moments. Whilst a trio of Lunar-landing buggy time trials are worth a go for the spectacle if not the rather uneventful driving, a sequence of quick-fire laps on the tricky Goodwood Festival of Speed track proves compelling. It makes for a marvellous, punishing, eye-of-the-needle venture, as you coax ever-faster cars around a ludicrously narrow strip of tarmac, where merely clipping the grass will send you careening into the hay bales. The best new feature by far however is the Costa del Sierra time attack. A lengthy but enjoyable coastal route with checkpoints, the player earns points for fast driving, high-speed jumps and clean overtakes. It’s remarkably moreish and satisfying, and a fascinating insight into what the series might have become had Gran Turismo channelled the spirit of Outrun. As sure as time itself, GT6 looks glorious. It’s rare now to find noticeable differences in the running of high-end racers, with game engines having become a lot more homogenised in the last decade or so. But GT6, which looks impossibly sharp cars and trackside detail, as well as remarkably strong detail-at-distance, offers a level of visual fidelity and smoothness that are on a different planet to other PS3 racing games. Playing GRID: Autosport (an excellent racer in its own right) directly afterwards evokes the feeling you get when you go back to a previous gen title; the uncomfortable experience of noticing a roughness of appearance and running that weren’t previously evident. It covers a lot of the same ground as GT5, with a great many of the cars, tracks and ideas being regurgitated. Pound-for-pound though, it’s a better game than its predecessor, offering a number of interesting new diversions. Its audio shares the same schizophrenic appeal as every Gran Turismo in recent times however. As well as the usual lobotomising elevator music designed to haunt your menu trawls, a track list of mostly forgettable tunes has been slipped in to accompany the racing, entirely without fanfare and largely without context. 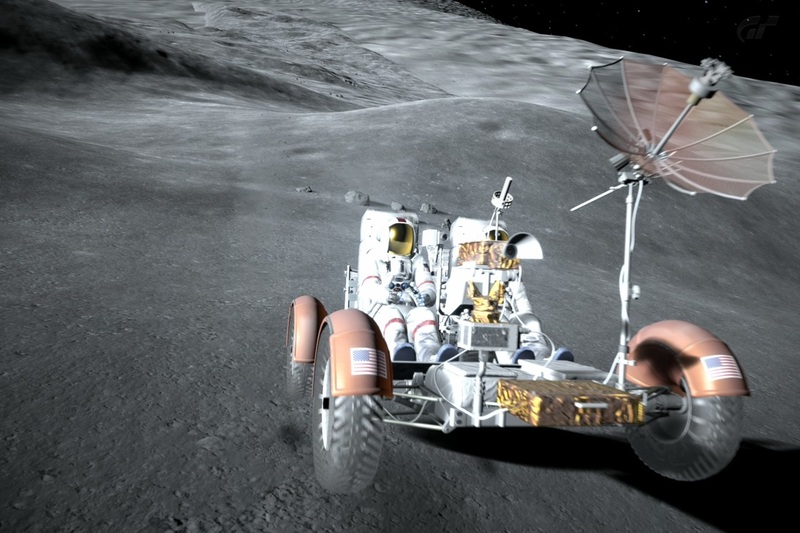 However, the massive array of guttural engine notes and small touches point to an impressive level of craft that’s at the opposite end of the spectrum to the music. It’s an impossibly polished, obsessively detailed racer which offers comparatively little new content but acres of racing potential for aficionados. Its single-player venture is more likely measured in weeks than months, though accompanied by online multiplayer and a steady raft of seasonal events with worthy rewards, it delivers a more-than-respectable shelf life. 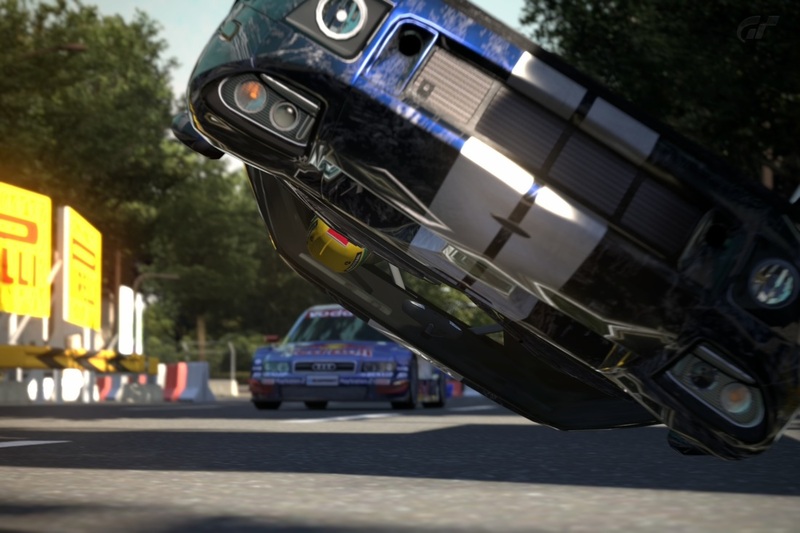 Whilst fans will likely want something a little more ambitious for the series’ PS4 bow, there's lots to admire in GT6 – it’s the best the series has had to offer for quite some time.